Im currently building and turbocharging the MK4 VW Golf GTI 2.0 8v SOHC engine. Running a Megasquirt standalone which Im dumping the MAF meter in favor for the popular GM MAP sensor. My question is, where would be the ideal place to mount the MAP sensor for the best, most accurate reading? 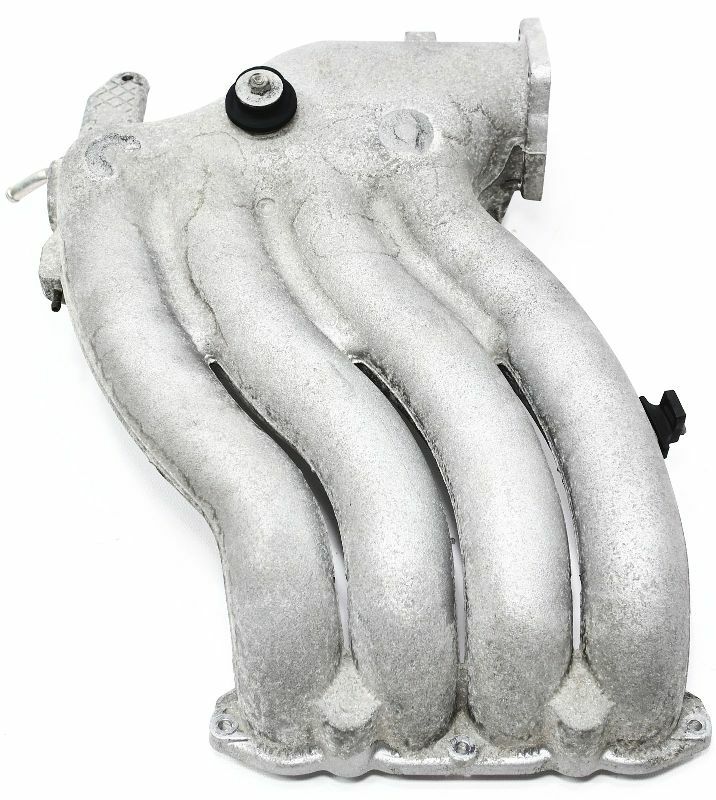 Closer to the throttle body or closer to the head? It has a small collection area after the throttle body then long individual runners to the head. Here's a link for a pic here & also attached if that doesnt work. Ive read conflicting info online of it being "closer to the throttle body the better" and the opposite, "closer to the head, in the individual runner for cylinder no 1" (to the left, farthest away from throttle body). Im open to any suggestions as I dont want to end up with a bunch of plugged holes on the manifold from trying different locations. I'm also running a slightly larger Techtonics Tuning 268 cam which has about 1 degree more overlap than the OEM cam if that also needs to be taken into account. Ideally you want the MAP sensor located in the common plenum. If you locate it on a single runner then you'll have it affected by individual cylinder pulsations as the valves open and close. I'd be inclined to mount the sensor central in the plenum if it was me but I'd also say it's not something you need to overthink. Thanks Andre. Yeah, overthinking things is one of my battles, but thanks for the feedback!